Today’s AM fix was USD 1,283.50, EUR 928.53 and GBP 764.26 per ounce. Yesterday’s AM fix was USD 1,283.50, EUR 927.38 and GBP 763.76 per ounce. Gold fell $0.60 or 0.05% yesterday to $1,284.40/oz. Silver fell $0.02 or 0.1% yesterday to $19.43/oz. The Mint Refers To The New Coin As "1 KG Of Nobility"
Spot gold bullion prices ticked lower today and gold is again testing support at $1,280/oz. A close below $1,280/oz will be short term bearish. Momentum is a powerful force and trend following traders and algorithms could push gold lower. Thus, there remains the possibility of further weakness and gold testing its big level of support above $1,180/oz. Having said that the geopolitical backdrop of increasing tensions over Ukraine between Russia and western powers and indeed between China and Japan is gold supportive. As is the still robust physical demand especially from China and Asia. The FOMC tends to have a fleeting short term impact on gold prices and barring a major surprise, Yellen's monetary policy is already priced in. As ever, a better than expected jobs number, could see further gold liquidations. Conversely, a worse than expected number will lead to safe haven demand and could be the catalyst gold needs to get out of its recent funk. 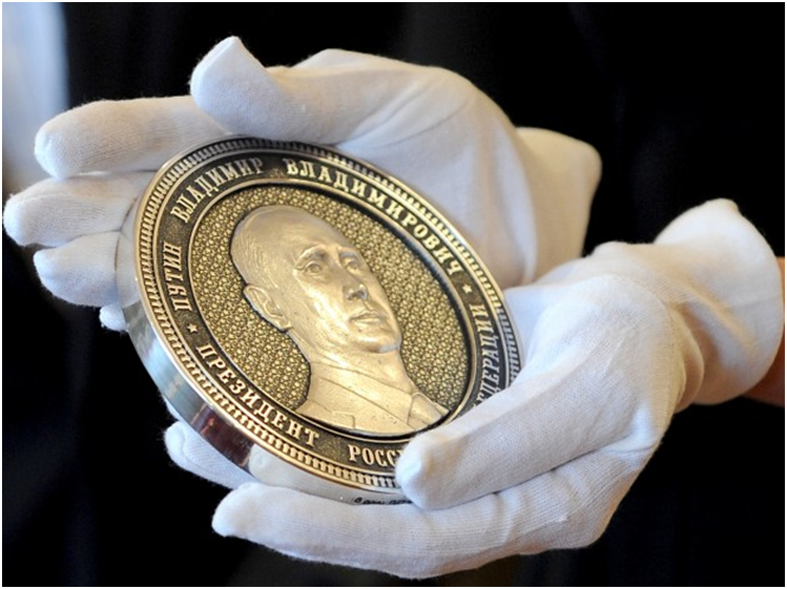 Silver coins with the face of Russian President Vladimir Putin are being minted in Russia. The coins weigh one kilogram (1kg - 2.2lb) and are being launched by the Art Grani foundry to mark Crimea’s reincorporation into Russia. The private mint that produces the coins said it is planning to present some of them to the Russian leadership. The coins are commemorative in nature and are a limited edition of 500 silver coins initially. The factory states that some of the coins may be sold, but they won’t be used as currency. Putin's face is on one side of the coin while the other shows a map of the Crimean Peninsula, Moscow daily Komsomolskaya Pravda reports. Factory director Vladimir Vasyuhin explains that by bringing the Crimean peninsula "back home", Putin had "demonstrated the qualities of a wise strategist and politician". "Crimea's reunification with Russia was a historic event which we decided to embody in a souvenir collection of coins," Vasyukhin told the Itar-Tass news agency. The peninsula that has hosted Russia's Black Sea fleet throughout its history was part of Russia for centuries before Ukrainian-born Soviet leader Nikita S. Khrushchev transferred it to the Ukrainian Soviet Socialist Republic in 1954. It made little difference to which republic the peninsula belonged when all 15 were united within the Soviet Union. But after the Soviet breakup in 1991, Russia was forced to lease back its military bases from Ukraine and lost governing authority over the predominantly ethnic Russian population of 2 million. The first issue of 25 of the commemorative coins, which are the size of a hockey puck and weigh 1 kilo each, will be given to Kremlin officials, Itar-Tass said. Neither the foundry nor the Russian news sources that wrote about the special "Crimea 2014 Collection" said how much the coins will cost or when a broader quantity will be available to collectors and the general public. Each coin has 120 millimeters in diameter and is 11 millimeters thick. The embossed images are 4 millimeters high. Each coin will have its own number and will be made of 925 grade silver or 92.5% purity. Silver at less than $20/oz remains very undervalued. It remains undervalued versus stocks, bonds and indeed gold. 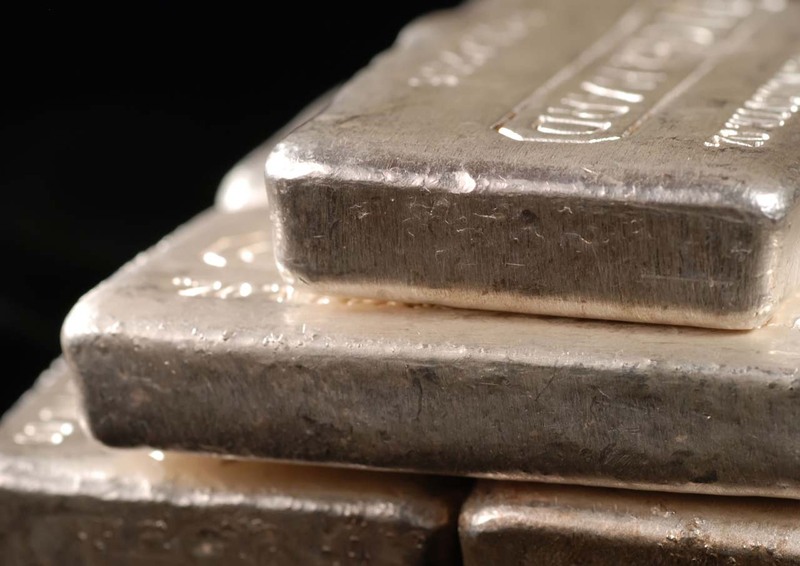 An allocation to silver in a portfolio will help protect and grow wealth in the coming years.